Personalized playing cards are perfect for gifts and commemorating a memorable event. MailPix brings deck customization to a personal scale. 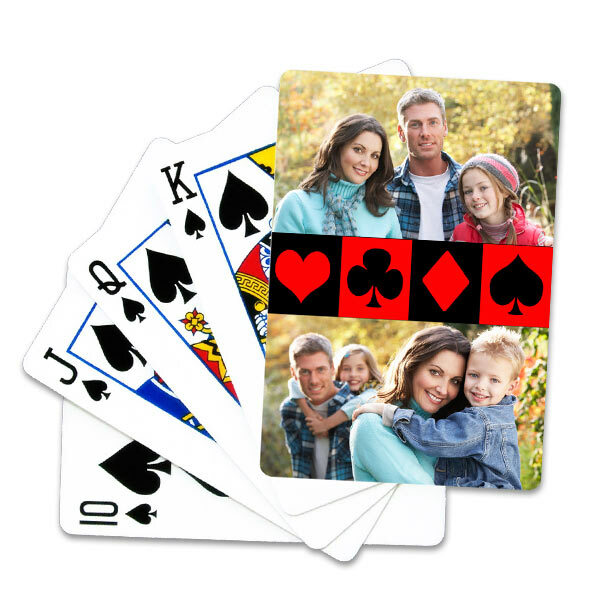 With personalized deck of cards, you can upload your own design or photo for the back. Make your own playing cards with your designs, text, or photos for a fun birthday gift, wedding favor, or to stylize your home tournament. Includes clear plastic case for extra protection. Same photo artwork applied to every card.